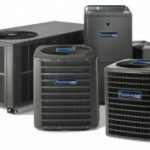 It’s been a long, hot summer in Arizona, and your air conditioner has been working its hardest to keep your home cool. Much to your surprise, a check of the system revealed that your unit was low on refrigerant — but how can that be? Even though the refrigerant system in your air conditioner is closed, and it recycles the same refrigerant over and over again, sometimes leaks can appear due to rubbing or wear, allowing your refrigerant to slowly make its way out into the environment. Fixing this problem cost a lot less than you think, often below $100 depending on your state. Common points for leaks to start are valves, connectors, copper lines and the evaporator coil. 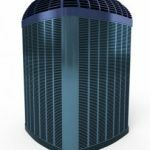 Sometimes, these leaks can be very hard to find, but you should never let an air conditioning contractor recharge your unit without repairing the leak first — it’s bad for the environment and will end up costing you even more as he continues to feed refrigerant into your system that will simply leak back out. Electronic Sniffers. A leak in an easy-to-access area is quickly found using an electronic sniffer, a device built to detect high concentrations of refrigerant in the air. It’s not the most precise method, but if the suspected area around the leak can be visualized, it will usually get your contractor close enough to locate a suspect valve or notice a small hole in the tubing. Bubbling. It’s not exactly high-tech, but bubbling is a great way to find those big, harder-to-detect leaks without breaking out the more expensive equipment. After introducing some inert gas to your air conditioner, we paint the suspected area with soapy water. Soon, the inert gas starts escaping and blowing bubbles. From there we just have to rinse the soap off and fix the problem. Ultraviolet Inspection. Especially tricky leaks may require an ultraviolet inspection process. A technician will insert a liquid tracer into your system and allow it to circulate along with your refrigerant. After about two weeks of air conditioning use, a tech will return and carefully scan your entire system with an ultraviolet light, looking for signs of the tracer. Very small and intermittent leaks are much easier to uncover using this method. Once the leak is properly tracked, your air conditioner technician will be able to perform the right repair to your system, ensuring that the leak is completely stopped. Most of the time, it’s a matter of a valve replacement or soldering a small section of copper tubing, but if the leak has appeared in a very thin or corroded portion of your system, it may be difficult or impossible to guarantee a satisfactory repair. This is when you’ll have to decide if it’s time to give up on your old system. Other problems that have required professional repair. 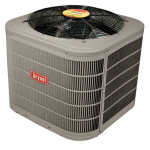 Unexplained rising costs from running your air conditioner. Your unit runs on R-22 refrigerant. Whether you ultimately decide to repair or replace your air conditioning unit when the refrigerant starts running low, our NATE-certified technicians have the training to complete the job. We’ll be there on time and provide a headache-free repair experience. Call Precision today at 602-349-6922 to get started. 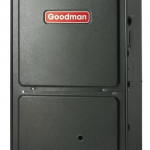 Does Your Furnace Need a Heating Tune-up?